J.B. Spins: Sundance ’15: What Happened, Miss Simone? 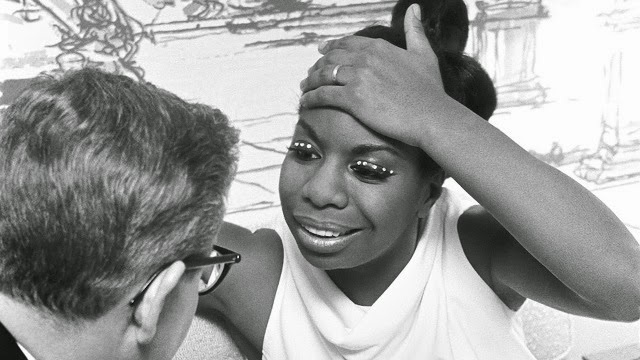 Sundance ’15: What Happened, Miss Simone? If you ever heard Nina Simone live, you should have been on your best behavior, because she could vibe an inattentive audience member harder than Keith Jarrett. In all honesty, anyone not fully appreciating her classically trained piano chops and deep smoky vocals deserved a bit of shaming. A forceful presence on stage, Simone knew what she wanted and maintained high expectations—fact we should all respect. However, the tumult in her personal life also contributed to her uncompromising and sometimes self-sabotaging public persona. Through extensive archival recordings and interviews with her closest associates, Liz Garbus paints a complex portrait of the jazz and soul diva in What Happened, Miss Simone? (trailer here), which screens during the 2015 Sundance Film Festival. You could see Simone’s classical attack in the way she deconstructed and recombined standards into something entirely new and rhapsodic. Her great ambition was to play a classical recital at Carnegie Hall, but that path was not open to an African American child of the Jim Crow Yellow Dog Democrat South. She never really forgave America for that, even though she eventually played the hallowed hall as the folk and soul influenced jazz vocalist we remember so well. Initially, she indeed had a lot of success with standards like “I Loves You Porgy” and “My Baby Just Cares for Me” and a strong manager in her husband, Andy Stroud. Unfortunately, their union took a sinister turn, with Stroud, the ex-cop, becoming increasingly violent as Simone became more politically radicalized. Although the late Stroud’s abuse is well documented in the film, he has a chance to speak for himself through never before seen footage shot for a prior unrealized documentary project. In fact, the film is remarkably balanced for a music doc, fully exploring Simone’s own abusive behavior to her daughter, executive producer Lisa Simone Kelly. 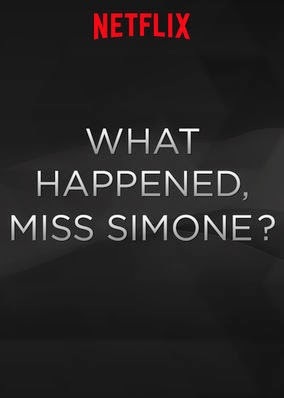 It also suggests some of Simone’s late career scuffling was partly her own fault, as well as a function of her late diagnosed bipolar disorder. To Garbus’s credit, this is definitely not the stuff of hagiography. Garbus and her producers tracked down a lot of never before heard interviews conducted for Stephen Cleary, the “co-author” of her memoir and an earlier aborted autobiography. However, the holy cats centerpiece of the film is the 1976 Montreux Concert (wherein Simone pretty much gives everyone what-for), which has been available in full on DVD since 2006. Still, Garbus gives more context to better understand the off-stage dynamics at play. For music fans, some of the best sequences feature Al Schackman, her longtime guitarist and musical director, who survived a baptism of fire to become her close musical collaborator. That is what the spirit of jazz is all about. After watching Miss Simone, you will also probably find “My Baby Just Cares for Me” is stuck in your head, but that’s not a bad thing. Highly recommended for fans of jazz vocals, What Happened, Miss Simone screens again today (in an hour and a half) and next Friday (1/30) in Park City and tonight and next Saturday (1/31) in Salt Lake, as part of this year’s Sundance. Americons: So When Does Fannie Mae Get Its Movie?